iEx.ec leverages a set of research technologies that have been developed at the INRIA and CNRS research institutes in the field of Desktop Grid computing. The idea of Desktop Grid (aka Volunteer Computing [BOINC]) is to collect the computer resources underutilized on the Internet to execute very large parallel applications at the fraction of the cost of a traditional supercomputer. Since the early 2000’s we have pushed this idea to its extreme limit. We produced numerous software and algorithms that introduced breakthrough innovations in the area of large scale data processing, data management, parallel computing, security and dependability, QoS, interoperability with eScience infrastructures and many more. 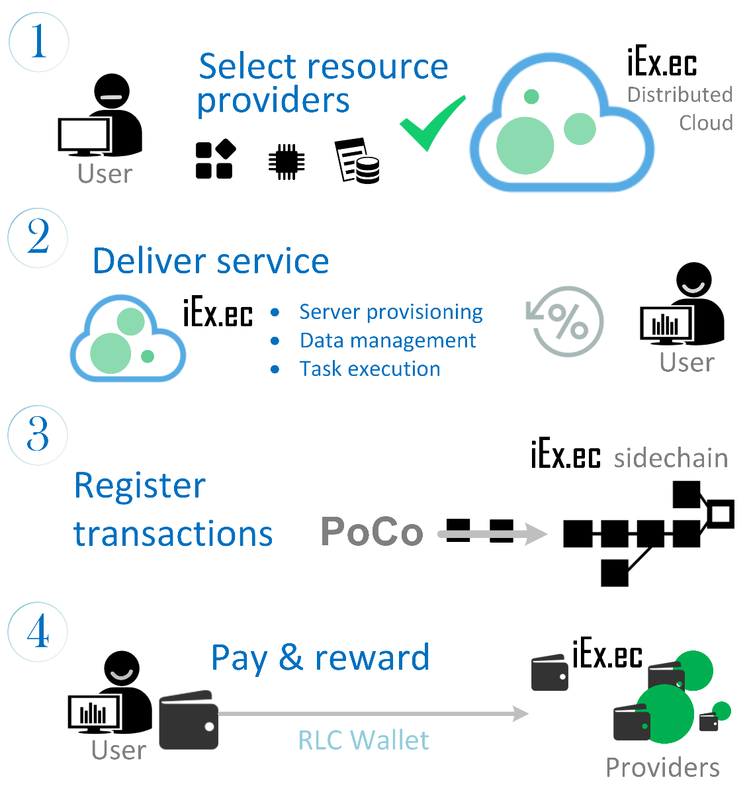 iEx.ec relies on XtremWeb-HEP, a mature, solid, and open-source Desktop Grid software which implements all the needed features : fault-tolerance, multi-applications, multi-users, hybrid public/private infrastructure, deployment of virtual images, data management, security and accountability, and many more. Thanks to iEx.ec, we can now organize decentralized infrastructures and market places, where everyone will be able to rent its computing resources (CPU, storage, GPU, …), where the innovative SMEs which design Big Data and HPC applications will be able to sell them online immediately with the needed resources to run them, and where highly valued data-sets will be rentable with a fine-grain business model. Moreover, because the blockchain provides distributed consensus and resiliency while being fully distributed, we think that it’s going to change drastically the way we design distributed systems and applications. iEx.ec is just the beginning of a new era! Let's build our own Blockchain-based Cloud Platform ! Usage of Big Data and High Performance Computing applications and the infrastructures to run them is a necessity for the design of innovative products and services. HPC is too complex and too expensive for innovative SMEs and individuals. iEx.ec provides on-demand, secure and scalable access to an unlimited set of computing resources (CPU, storage, GPU) . iEx.ec relies on the Ethereum blockchain to organize a global P2P market, where everyone can rent computing resources and applications. This lowers the cost of IT and provides better energy efficiency. iEx.ec will support the emerging class of blockchain-based distributed applications and enable cost-effective high-performance computing by building a distributed Cloud infrastructure. Thus, we envision a new eco-system of companies offering storage, computer farms, data providers, web hosting, SaaS applications, and all making business to others through iEx.ec. The Distributed Cloud will open new markets for aggressive usage of existing computing infrastructure. To lower the amount of energy required to run the servers and the air conditioning systems, servers can be pushed out of the data center. By easing the access to such machines, a Distributed Cloud would allow to drastically decrease the environmental footprint of data centers, while bringing the data closer to their producers and consumers. iEx.ec is a combination of Desktop Grid Computing and Blockchain technologies. Desktop Grid (i.e. Volunteer Computing) uses the underutilized computing resources to execute very large parallel applications at the fraction of the cost of a traditional supercomputer. Some examples include well-known applications like [email protected], [email protected], and distributed.net. ● resilience: if some nodes fail, the computation continues on other working nodes. ● efficiency: applications get excellent performances even if computing nodes are highly heterogeneous. ● ease of deployment: allows to use any nodes without specific configuration, even those located on the edge of the Internet. This makes Desktop Grid the perfect solution for assembling hybrid infrastructures, whose computing resources can range from classical high performance computing clusters, Cloud infrastructure providers and home personal computers. iEx.ec relies on Desktop Grid open-source software that we have been developed at the CNRS and INRIA research institutes to assemble loosely distributed computing resources for HPC and Big Data. XtremWeb-HEP (link, GitHub) is a mature, solid, and open-source Desktop Grid software that allows to use any kind of computing resources for executing compute-intensive or data-intensive applications. 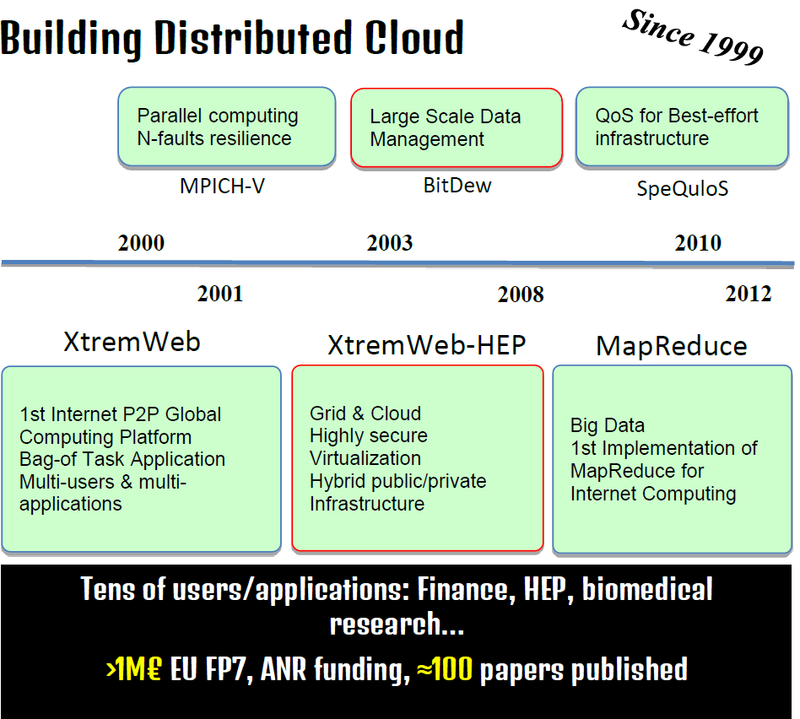 During the last decade, we have also developed a large portfolio of technologies for distributed computing: MPICH-V for parallel computing, BitDew for large scale data management, SpeQuloS for providing quality of service to application execution, the first implementation of MapReduce for Internet computing, and more. Many of our research results have been published in top scientific conferences and journals (>80 papers published) and we successfully raised more than 1M€ of public funding including several EU research grants. 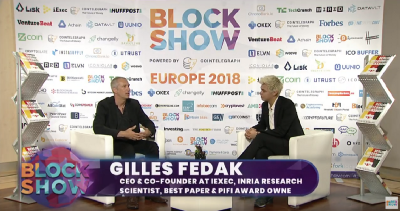 We have obtained a unique expertise in making the Desktop Grid technology running and available to various scientific communities as well as startups and innovative industries. ● From 2007 to 2012, with several European partners, we established the European Desktop Grid Infrastructure (EDGI). This considerable effort was supported by the European Union, which funded 4 FP7 projects (EDGeS, EDGI, DEGISCO, IDGF). The goal was to provide researchers and academics with additional computing power coming from Desktop Grid infrastructures. EDGI has been a huge success. We connected a dozen of sites (Hungary, France, UK, Spain, Netherlands …) to the main European e-infrastructures, such as the one supporting the Large Hadron Collider in Switzerland. We gained a considerable experience in connecting Clouds and HPC systems to Desktop Grids as we succeeded in transparently executing millions of jobs on more than 200.000 nodes. ● By showing the applicability of the technology in many fields of science: high energy physics, biomedical research, mathematics, financial algorithms, material research, 3-D rendering, and more. ● Of course, we had also many collaborations with the industry (Total, Airbus, IFP …). And more recently, we received a funding from the French National Research Industry in order to provide innovative SMEs access to low-cost, on-demand and secure HPC services. We conducted many interviews with SMEs from the biomedical and eHealth sector to understand their needs and requirements and designed MVPs and PoCs. Somehow, the emergence of blockchain was the key enabler that triggered our motivation that eventually led to the iEx.ec project. The knowledge and experience gained by exploring, inventing and establishing Internet-wide distributed computing infrastructures is a crucial part in creating a distributed Cloud for blockchain-based distributed applications, while the foundation of already developed technology guarantees a fast time to market and timely project completion. To achieve our goals we developed the following implementation roadmap according to several funding levels. We will develop 5 versions of the product (v1-v5) that correspond to 3 steps in terms of Go-to-Market strategy. 1. Community Edition (v1) Features to create an open-source software that allows to build the distributed Cloud. 2. Enterprise Edition (v2, v3, v4) Features to establish a full Market Network profitable for a wide range of businesses. 3. Research Edition (v5) Features to make serious advances that can address wider topics than Cloud computing (IoT, Fog/ Edge computing …). With the minimum funding (2,000 BTC), iEx.ec will deliver an initial market network that allows to monetize applications and servers. With a maximum funding (10,000 BTC), iEx.ec will gradually develop the market network including data providers and HPC applications, then establish recurrent sources of revenue to iEx.ec. How did come to you the passion of technology, computing and cryptocurrency ? For me, an important thing related to technology, is that if I have an idea, it always helps me to bring it to reality. Obviously, there must be a correlation between the ambitions of the idea and the available technology at that time. And so is cryptocurrency now. What fascinates me to this topic, is a huge potential for a wide range of applications in many activities. From the way people can now raise resources for creating useful projects, to an exploding variety in which people can create and exchange value among them. How did you integrate the iExec project ? I constantly worked with Gilles Fedak and Haiwu He since 2010 on different projects, namely on topics of distributed computing, HPC. Since the beginning of our collaboration, we were complimentary and we achieved sinergy quite directly. On the iExec project, I contribute from its beginning. Can you tell us about eFAST project ? In one of my work visits in Lyon (France) in 2015, we evaluated different ways of building a collaborative platform for financial analysis. We had almost anything we needed, except the “glue” that would allow participants to exchange value in such a platform. In 2016, the Ethereum blockchain technology looked feasible for providing us this glue. Leading this initiative is one of my main tasks and this platform is planned to rely on the iExec market network. A last advice or tips to give us ? I recommend anyone to discover the potential of this emerging technology. A few months ago, before the ICO, some key ideas of this project were perceived with skepticism. Now, those features start to be understood as needs. Believe in your innovative ideas even when reticents are around, because this can inspire you even more! You are invited to start using this API. But proceed with caution, since it is still work in progress. The API may evolve drastically in the future, and you may probably have to modify your application. Next sections detail each method. This registers a new work for the provided application. The job status is set to UNAVAILABLE so that it is not eligible to scheduling. This lets a chance to set different parameters. To make the work eligible to scheduling, setPending() must be called. This submits a new work for the provided application. The job status is set to PENDING so that it is schedulable. This is useful to submit a work with no param but the command line one, eventually, in a single call. This sets a parameter for the work. This makes the work schedulable. This must be called when using register(). This retrieves a parameter from work. This retrieves the work status. This retrieves the path of the result stored on local FS. This retrieves the content of the work stdout. This deletes work. This is unrecoverable. This submits a new work and wait for its completion. This waits for the work to be completed and searches the provided pattern in the work result. This section introduces typical workflows. This is the simplest case where work is submitted without any parameter but the command line, eventually. User does not want to wait for result and may come later to retrieve its results asynchronously. This is the synchronized case where the user waits its results. This is how the PoC used to work. This case permits to set some work parameters. User does not want to wait for result and may come later to retrieve its results asynchronously. This is the synchronized case permitting to set some parameters. Here the user waits its results. In the coming weeks, we’ll release a simple tutorial, so that developers can start glancing at it and prototype their applications. You are invited to join us on our slack. 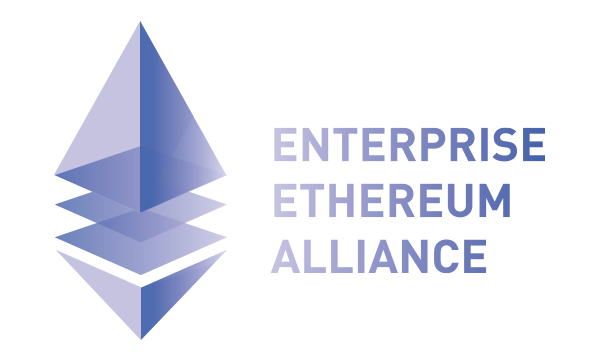 Press Release: iExec, the distributed cloud platform for the future internet is joining the Enterprise Ethereum Alliance today. July 11, 2017, Lyon France — The distributed cloud computing platform, iExec is joining the Enterprise Ethereum Alliance. Ethereum is a blockchain-based, general purpose decentralized application platform, enabling smart contract functionality. This technology facilitates more efficient and secure transactions without centralized intermediation. Notably, the Ethereum blockchain technology will improve banking trade settlement latency, increase transparency in supply chains, and create peer-to-peer markets without intermediaries. iExec stands for “I Execute”. It aims at starting off as a fully distributed Blockchain-based cloud platform. 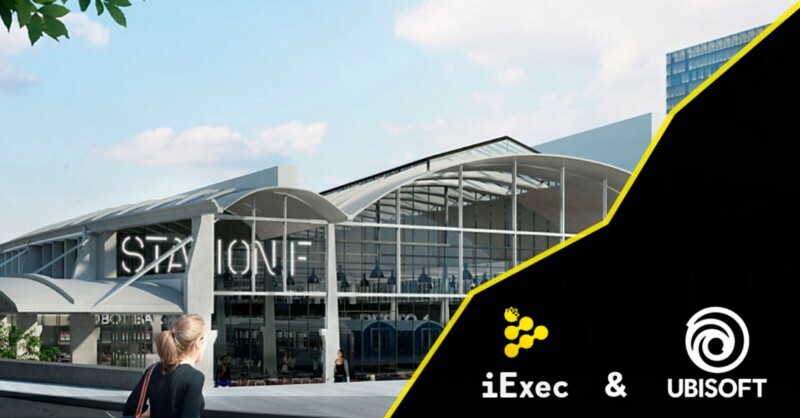 Headquartered in Lyon, France, iExec is a spin-off company from INRIA, the French National Institute for Research in Computer Science. iExec aims to create a decentralized cloud and set up a marketplace for computing resources. It is designed for distributed Blockchain-based applications (DApps) with plans to evolve into a market network for decentralized computing products and services. The iExec system works by tethering computers together to create one giant network of computing resources. The Ethereum blockchain and smart contracts, act as a management system for the iExec network. It allows users to monetize their participation, automating payment transactions for the give and take of services. Unlike existing cloud providers, business on the iExec cloud is an open network allowing any companies to start their decentralize Cloud businesses. The iExec market network will be designed for various developers and enterprises of the distributed computing ecosystem. It will enable them to do business with each other to better monetize their products and services. 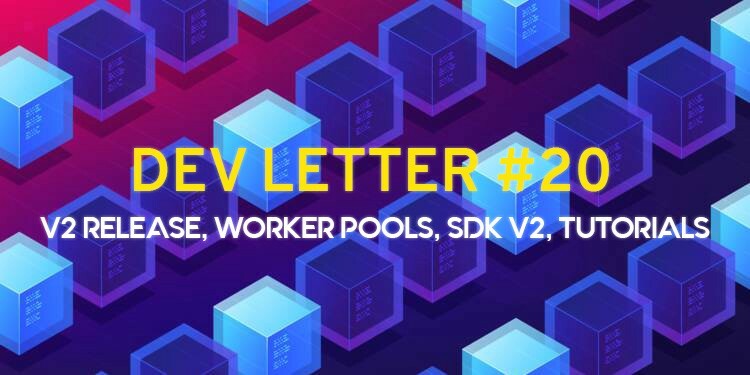 This developer letter #9 introduces the first release of the iExec Explorer, and presents our new hires. We also take the opportunity to answer the recent concerns our community has brought to us. Jean-Charles Cabelguen joins iExec as its Chief Innovation and Adoption Officer. You may read the full announcement this week. Vladimir Ostapenco joins iExec as Junior Sysadmin. More on it soon. It will continue to lower the entry barrier for development on the iExec stack, by providing a very convenient way for developers to track the progress of their running computations on the iExec network. Technically, the explorer works similarly to Etherscan by monitoring and keeping track of blockchain transactions, and displaying them into a browser. Coupled with our new Katacoda video tutorial, it’s now easier than ever to get your feet wet with iExec development, and we hope you like it. We have improved the integration between the Ethereum blockchain and XtremWeb-HEP (unifiying the various ids). You can now retrieve the off-chain computation result from the smart contract using the Ethereum submit transaction hash. Ability for developers to deploy their own off-chain applications is getting closer as well. Ethereum login with the JWT token is now working, and the iExec command line tool will be updated in the next iteration. To finish this letter, I’ll try to briefly answer some of the questions raised on Reddit by cryptox89, who wrote an article entitled “Why am I doubtful about iExec?”. Most of his concerns have been addressed already, or are currently being addressed. Hiring: As of today, we are 12 people working full-time at iExec, and we should be around 15 by the beginning of December. The new additions have already been recruited, and we are just waiting for them to relocate to Lyon. There will be a new series of interviews introducing our team members, at the rate of one per week. Location: We are not solely recruiting from Lyon. Many people of our team members have relocated from Paris and abroad (China, Hong Kong, Brazil, Morocco). There are many good points for being headquartered in Lyon, which is an attractive place for startups and the second biggest digital hub of France. Note that France is becoming a key place for startups in Europe: venture capital and funding deals last year surpassed that activity in Germany, making it second only to Britain. Website: The design of our new website is 100% complete, while implementation is at its final stage. We’re currently reviewing the website contents. Once last details are sorted, we’ll still have to install the website on our own servers. Therefore, the website will be ready and running for Devcon3. Marketing: The marketing team has grown to 3.5 people: Julien, Wassim, and Eduardo who is working half-time on producing graphical content. The team is now lead by Jean-Charles. In the beginning of December, we’ll welcome a new member who will manage the industrial partnerships and our innovation program. More on that later. Community: Our focus is now on building a developer community. Half of the team will be at Devcon3 with a booth to demo our solution for off-chain execution. In November, we will attend SC’17 (Denver, CO), which is the main conference around HPC and Supercomputing. Just before Devcon, we’ll spend a full week in the Silicon Valley organized by the French Ministry of Foreign Affairs. We will communicate in the following weeks on the other major conferences we will be part of. Team Communication: We acknowledge that the last days have been terrible, in particular because of the Slack spam bots that have been a real plague. At the moment, we still don’t have a definitive solution, and we’re looking to move to another platform (Rocket Chat) depending on the community choice. Technical Outlook: As described in the white paper, V1 allows off-chain execution from a Solidity smart contract. You can already play with a mock-up (see our last dev. letter), and I think that we’ll be on time to demo all the basic features for Devcon3 (payments, explorer, and others). Preliminary research works have started this week, with Hadrien working on the PoCo. At the moment, he’s reviewing projects such as Truebit and Plasma. Partnerships: Not so many new partnership at the moment, because we are focusing on delivering V1. However, we have excellent contacts who are also waiting for V1 to build their apps using iExec. A good example is the recent Request announcement. Strong competition: Competition never hurts, and you will see that off-chain computation will be a hot topic at Devcon3. Trading: As many already know, the latest events in China have seriously compromised our efforts to be listed on a Chinese exchange, which was one of our top priority. We’ll continue our efforts to create partnerships in China, with a focus on technology first. The Korean version of the iExec website is live! More translations to come this week. PARIS, FRANCE — April 19, 2018 — Today, Ubisoft announced four participants in the second season of its start-up program at Station F, the world’s largest start-up campus. Inaugurated last year and led by Ubisoft’s Strategic Innovation Lab, this program aims to support entrepreneurs working on technology that could help shape the future of the entertainment and gaming industry. 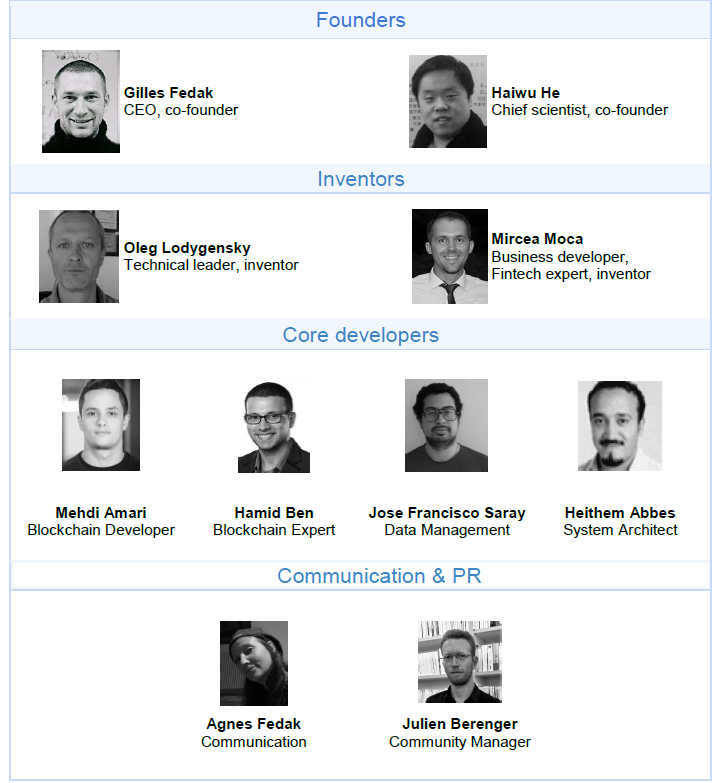 The second season dedicated to augmented reality and Blockchain is sponsored by Alain Corre, Executive Director of EMEA Territories at Ubisoft (see profile attached). Two of the start-ups Ubisoft is supporting are working on promising projects in augmented reality. The first is Mimesys, which explores the future of long-distance communications with holographic AR and VR meeting platforms. Ubisoft will also collaborate with Panda Guide, which developed an augmented reality headset aimed to increase the autonomy of people suffering from visual impairments. This second season also welcomes two start-ups exploring the relationship between Blockchain technologies and the entertainment industry. Ubisoft will be supporting iExec in its efforts to build a virtual cloud infrastructure that offers on-demand, high-performance computing services, which could prove particularly useful in the fields of AI and big data. Azarus, the second Blockchain related start up, hopes to develop protocols and solutions specifically dedicated to the gaming industry. All selected start-ups will benefit from a five-month personalized program enabling each entrepreneur to interact with Ubisoft experts as well as partners across the company`s international network. In June 2017, Ubisoft began its partnership with Station F, the world’s largest start-up campus located in Paris. This partnership is part of Ubisoft’s global program designed to leverage and share its expertise with start-ups and entrepreneurs who are exploring new opportunities for the entertainment industry. While Station F is located in France, Ubisoft has similar programs in place in Canada and Germany. Ubisoft’s program at Station F is open to all entrepreneurs across the world. Ubisoft aims to expand its start-up programs to other countries in the coming years. For more information about Ubisoft’s programs and opportunities, please visit ubisoft.com/startups. Ubisoft is a leading creator, publisher and distributor of interactive entertainment and services, with a rich portfolio of world-renowned brands, including Assassin’s Creed, Just Dance, Watch_Dogs, Tom Clancy’s video game series, Rayman and Far Cry. The teams throughout Ubisoft’s worldwide network of studios and business offices are committed to delivering original and memorable gaming experiences across all popular platforms, including consoles, mobile phones, tablets and PCs. For the 2016–17 fiscal year Ubisoft generated sales of €1,460 million. To learn more, please visit www.ubisoftgroup.com. iExec aims to decentralize the cloud computing market by building the future of the Internet infrastructure. We are developing the first blockchain cloud computing platform. iExec aims at providing to companies a scalable, secure and easy access to the services, data-sets and computing resources they need. Our technology relies on the Ethereum smart contracts and allows building a virtual Cloud infrastructure that provides high-performance computing services on demand. Located in the area of Lyon, the project is based on the research work of Gilles Fedak, Haiwu He and Oleg Lodygensky. These three are all accredited researchers at INRIA, CNRS and the Chinese Academy of Sciences. They have been active since 2000 in researching grid-computing, the technology which enables to decentralize computing. The first-ever decentralized marketplace for trading cloud power is here! After much hard work over the past few months, the team is proud to announce that the iExec V2 is now live. Thank you everyone for your support! In today’s update, we cover how to use this marketplace with video tutorials, how are workers organized and managed, and how developers can use the iExec SDK V2. 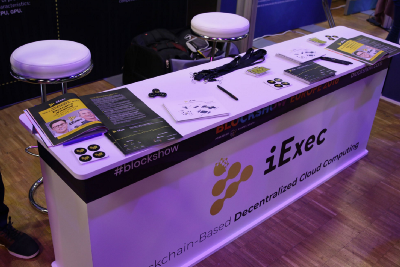 We also go over the recent partnerships secured by iExec, and share some photos from Blockshow Europe in Berlin. 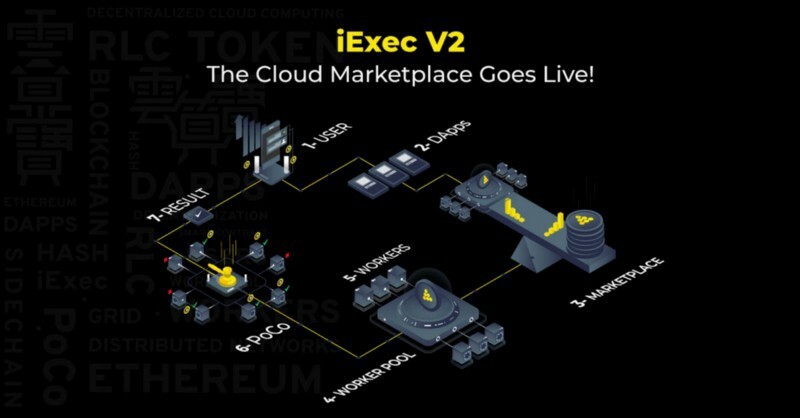 iExec has released its blockchain-based decentralized marketplace for trading cloud power. For the first time ever, it is now possible to buy and sell computing power on a dedicated market just like any other commodity. Four cloud providers, TFCloud, Stimergy, Cloud&Heat and Nerdalize have already announced their participation in this network. For application developers, this is a unique opportunity to access affordable, secure and scalable computing power on-demand. Each transaction between buyers and sellers is securely audited and certified by the Proof-of-Contribution algorithm, which verifies each and every off-chain computation executed. 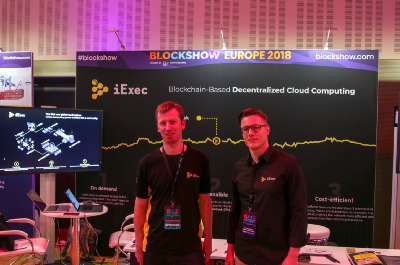 Blockshow Europe 2018 marked the official launch of the iExec Marketplace, introducing a new paradigm for trading cloud power. CEO Gilles Fedak displayed a 3D rendering demo of the marketplace, demonstrating how computing resources can now be traded as a commodity. Workers are the cloud providers in charge of executing the works submitted by users. Similarly to blockchain miners, workers share their resources and get rewarded in RLC. These workers can be public or private, and are organized in worker pools. For each one of these, a scheduler manages the work distribution. The iExec SDK is a CLI and a JS library that allows developers to interact with the iExec decentralized marketplace, in order to run off-chain computations. We’ve also made a Youtube playlist with video tutorials showing step by step how to initialize a project, deploy a decentralized application, and run works from the marketplace. TFCloud becomes the first Chinese worker of the iExec marketplace. With clients such as Tsinghua University, China Telecom, Bank of Shanghai, China Citi Bank or Henfeng Bank, TFCloud is a major and established cloud provider in China. iExec and Nerdalize have also signed a partnership agreement that will make blockchain applications heat homes in the Netherlands. Mark your calendars! 📅 iExec will be present at Devcon4 this year in Prague. We will leverage the presence of thousands of blockchain enthusiasts and developers to organize an event of our own. On November 2nd, from afternoon to evening, you will be able to attend workshops and a wide variety of talks. Team members as well as partners, whether they are workers, application developers or industry collaborators will take stage to share their experience and reveal their future plans. Everyone is invited to join us afterwards to a very special party! iexec registry validate <objectName> handful method to do a local check of an [app,dataset,workerPool] description, before submitting it to the related registry. This will check iexec.json, deployed.json and logo.png files.